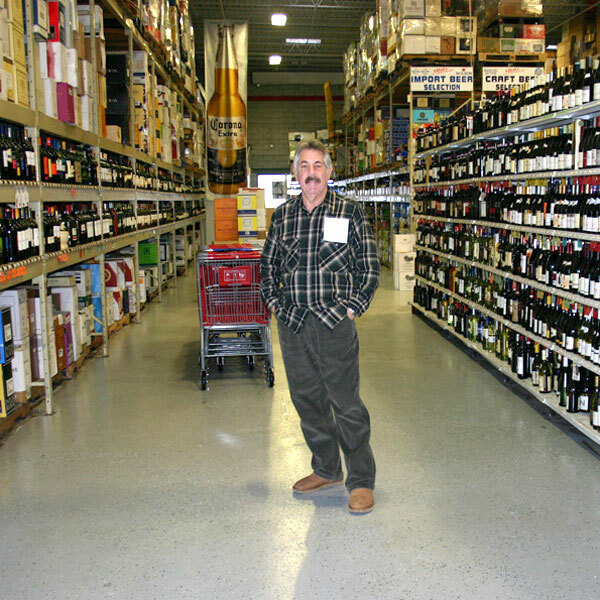 Need The Toughest Industrial Epoxy Flooring? 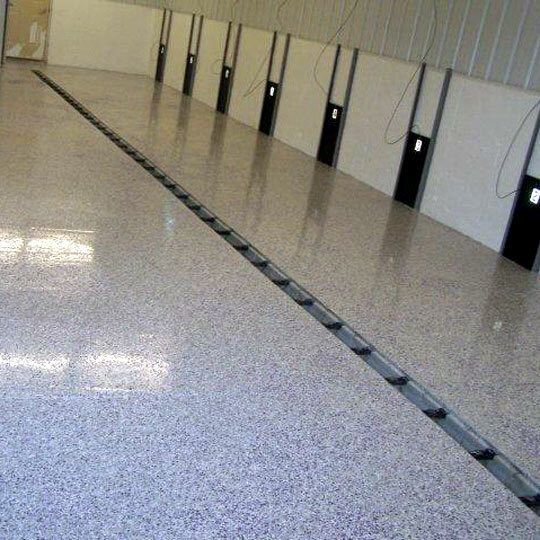 The Ultra Military Epoxy Floor Coating System is designed to out last the competition! It's a three layer extra thick 23 Mils coating, it's a military grade high gloss hard as nails finish sold in an easy to apply packaged system. Conventional floor enamels are 2-3 Mils thick, water based epoxies 3-4 Mils thick, hybrid cycloaliphatic epoxies are under 10 Mils thick. These thin epoxy coatings although well marketed with low selling prices are all prone to wearing out prematurely, yellowing and outright failures. Trying to achieve a high performance floor with those types of epoxies is simply not possible. 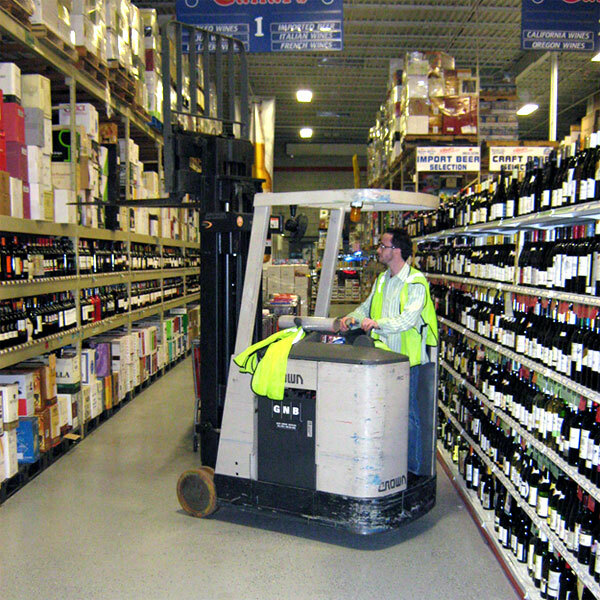 They just cannot handle the daily destructive forces inflicted on your floor by heavy traffic from aircraft, vehicles, forklifts, pallet jacks, material carts and even high volume foot traffic. This is what customers from home owners to all branches of the US Military go with. There's a reason for this, they all want an epoxy floor coating that can handle a lot of wear and tear, is resistant to chemicals and is easy to keep spotlessly clean. As you read more about our Ultra Military System Industrial Epoxy Flooring you'll see that it's the thickest coating with great adhesion and the best resistance to wear from abrasion. How good will it stick to the floor and how good is it at resisting abrasion. Those are the two most important factors to consider when choosing an epoxy floor coating that's best for your floor. Abrasion is wear and it happens every second you move something across your floor. Without the right abrasion rating your epoxy coating will not last, it's as simple as that. We have the best abrasion rating in the industry, no other coating comes close. Any floor epoxy can look good when it's first put down it's how long can it stay that way that counts. Ultra Industrial Epoxy Flooring is specifically engineered to resist wearing, dulling, yellowing and peel ups unlike other epoxies that fall short after just a year or two of use! Click on the MUST READ tab above to find out what to look for in a true industrial grade type of epoxy flooring. Available in several versions, Super Fast Dry, Quick Dry, Odorless and non drip Wall. Free Shipping! Standard Colors Ship Within 1-2 Business Days! To order the Ultra Epoxy System, color chart, photo gallery, instructions and additional product data click on Buy Ultra image at top of page. For Areas 5000 Sq Ft And Larger Call Or Email Us For Quantity Discount. Joe Canal's owner Stu Stromfeld chose to add in colored flakes for added effect. This is a good example of an ultra application, high foot, shopping cart and forklift traffic in repetitive pattern. Ultra's extremely high resistance to abrasion allows operator to make frequent stationary pivot turns in narrow isles without affecting the high gloss finish. Epoxy floor coatings with abrasion ratings higher than 15 are not suitable for this type application. This is our Ultra Hide Bright White Floor. Non Yellowing super scratch resistant and easy to clean. Dog Kennel with light gray ultra base and black, white, and amethyst chips at 25lbs per 500 square feet. Super scratch resistant and easy to clean. Blue Ultra Floor - Black & Yellow Ultra Walls. As you can see ArmorGarage Ultra Industrial Epoxy Flooring is very versatile, it's high adhesion and abrasion ratings lets you do any job from a garage to a military application with ease. Why is our industrial floor epoxy coating the best? 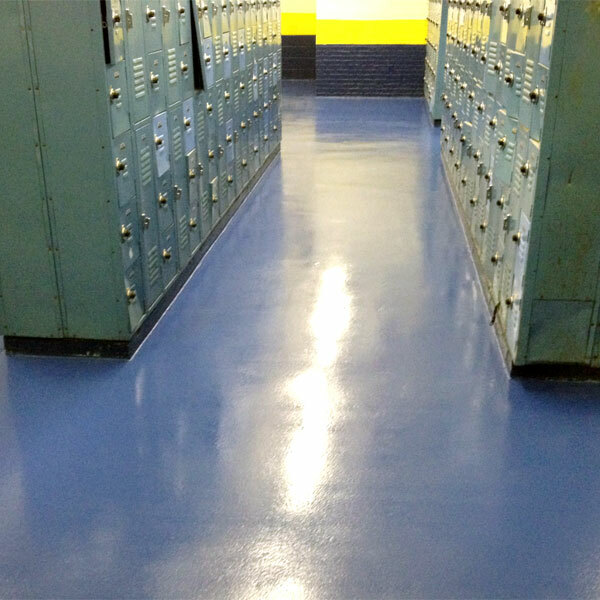 First you should know that 99% of epoxies that call themselves heavy duty commercial or industrial epoxy floor coatings are not in any way shape or form a heavy duty commercial or industrial epoxy coating! They are typically thin water based epoxies or epoxies made with low grade materials that don't last. Most have either no topcoat or an imitation topcoat. Applying these coatings to your floor is a waste of time and money if you're looking for it last more than a few years. Our military/industrial epoxy is the thickest DIY coating available at 23 mils thick. Over 10 times thicker than off the shelf epoxies. It's not water based or a cyclioaliphatic hybrid epoxy. Consists of three distinct layers of high performance epoxy coatings. Two part primer with superior adhesion to concrete floors(just a quick note here-our primer has better specifications than almost all other so called heavy duty epoxy coatings! ), extra thick military grade epoxy second coat provides a super thick foundation to guard against impacts and heavy loads, then our best in industry military grade clear polyurethane topcoat protects your floor against the most demanding traffic, chemicals, dirt and grime to keep your floor clean and looking new longer than any other brand. Color flakes can be added to the epoxy layer for a granite type look. Cannot be matched by any other DIY epoxy floor system. This is a professional industrial floor epoxy system designed to be installed by first timers with professional results. Our Military Grade Polyurethane Epoxy Clear Topcoat has an industry best 4 mg abrasion loss rating(the lower the rating the better). See the Epoxy Comparison Chart for further discussion on abrasion ratings and topcoats. It will explain in detail that without a true urethane topcoat that it's impossible to get a long lasting epoxy floor finish. It explain how topcoats determine what the longevity of your floor will be and how long it stays looking new. It's critical that you understand why a topcoat is an absolute must and what the difference between a true military grade topcoat is and just a clear version of a company's epoxy paint before you buy any industrial epoxy floor coating! How do you know the difference between an epoxy floor coating that calls itself industrial and heavy duty to one that actually is. If you make your purchase based simply on what sounds or looks good you're making a huge mistake! There's four critical factors to tell the difference. First no industrial or military grade epoxy would be water based. Second it would not be under 20 mils thick. Third it would have to have an abrasion loss rating of 8mgs or lower(NOT HIGHER). Most epoxies don't even have abrasion loss ratings they're so bad. Fourth it should also have a Shore D Hardness rating of 70 and above. This is the same hardness range of hard hats! If you can't get those four critical factors, don't buy that coating unless you really don't want or need an military grade epoxy finish on your floor! So lots of epoxies are marketed as industrial grade but are really no such thing. They're not thick enough to begin with so just a small amount of wear and the coating is gone. They are too soft so that even ordinary abrasion from tires or small wheel traffic such as floor jacks, dollies and hand trucks will wear through them easily. Never mind what forklifts and pallet jacks would do to them! So avoid water based products no matter what the marketing states, avoid coatings under 14 Mils thick, Avoid coatings that have Abrasion Loss ratings above 8mgs and Hardness ratings under 70 if you want a true industrial grade epoxy coating. We strongly recommend you read the links at the bottom of the page, The Epoxy Comparison Chart, Why ArmorGarage Epoxies Are Really The Best. Once you've read those pages it means you have a basic understanding of epoxy coatings and can make a purchase decision based on facts and not what's marketed the best. We also strongly recommend you call us if you have any concerns, doubts or questions after reading all the information here. Unless you're in the epoxy coating business it can be quite confusing sometimes as to which epoxy flooring would be best for your application. 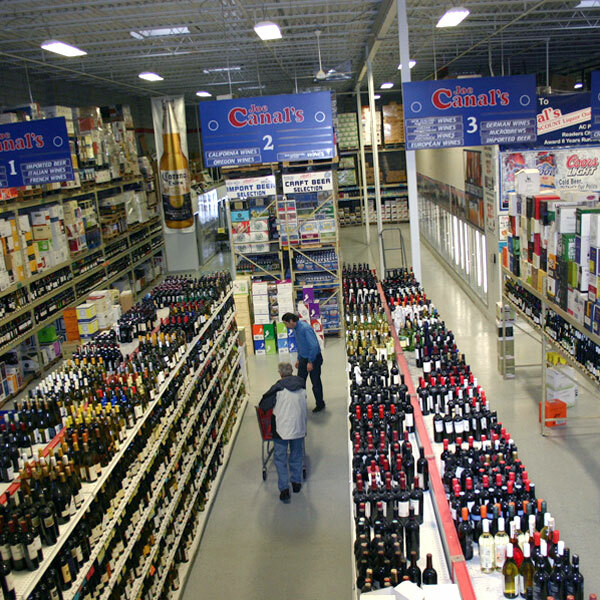 Check our full line of Industrial Flooring Epoxy products.